Dubai Properties Group (DPG) is one of the largest real estate development and management businesses in Dubai, encompassing residential, retail, commercial, and staff accommodation. DPG focuses on a broad range of real estate services, which includes the planning and development of renowned destinations in Dubai through Dubai Properties, and asset management through Ejadah. Last August Abdullatif AlMulla was appointed the new group CEO and the group has announced a number of new projects under his leadership. To date, the portfolio includes high profile projects like Business Bay, Culture Village, Jumeirah Beach Residence, and DUBAILAND, however the most significant project announcement over the last 12 months has been Marasi Business Bay, located along the much anticipated Dubai Canal project. 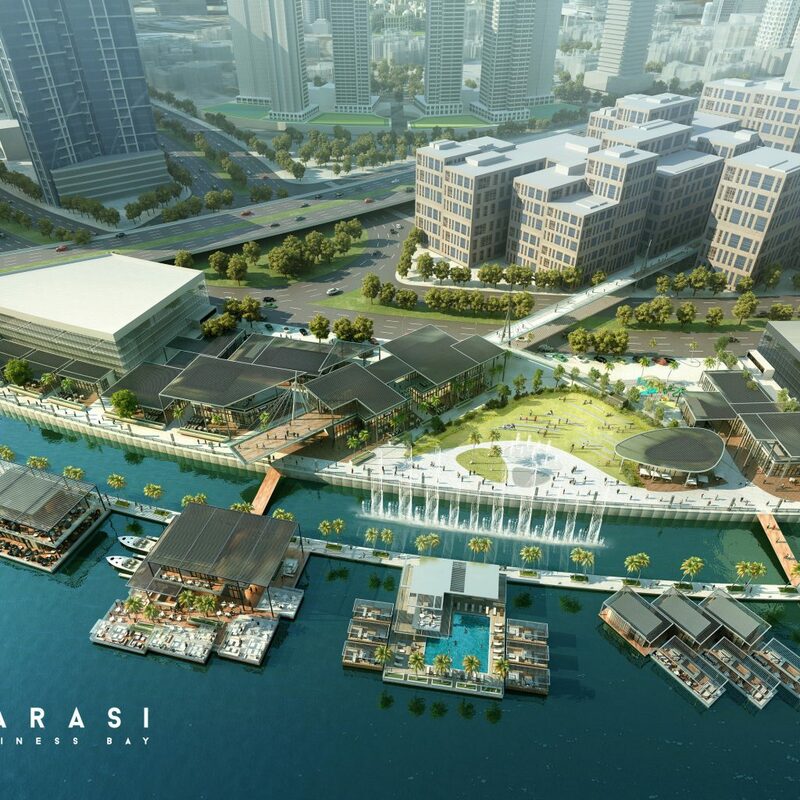 Located along the Dubai Water Canal, Marasi Business Bay is set to become a major future landmark in Dubai. The development presents the regions first purpose-built yachting destination, floating restaurants and cafes, onshore boutiques and entertainment facilities. It also encloses unique water homes with pools, embracing the longest promenade at 12km, the UAEs first-ever water homes, retail options, floating restaurants, leisure facilities and five palm tree-lined marinas with more than 1,250 berths. Nearby in Downtown Dubai, the two-tower Bellevue Towers project launched in May 2016. The East and West towers will provide a total of 300 one, two and three bedroom units across 23 residential floors, separate lobbies set on a common podium and retail stores on the ground floor, as well as community facilities. The project sold out on its launch day. On the other side of the emirate, construction has begun on 1 JBR at the end of January 2016. The 153 unit 46 storey tower ecompasses 2- and 4-bedroom apartments and 5-bedroom penthouses. Abdullah Bin Lahej was named CEO in June 2016, following the departure of AlMulla in April of the same year.